As more and more of our lives become part of an electrical world and of the Internet, identity theft rises with it. Many nefarious hackers and PC users try to access the online accounts of others with intentions of gaining access to valuable information such as credit card numbers. For example, if someone is able to get the password to your facebook account, through that they can see much of your sensitive information. Even worse, if you have information on your facebook that could give away the password to your email account, it can become a real mess. Through your email they can find your banks, credit cards and then treat themselves to different things at your expense and since they already have all your personal information through your email/facebook/twitter/social media sites. To lower the chances of this, we use passwords across the web, and every site asks you to create a stronger and more unique password. If you can’t seem to develop strong passwords for your online accounts, here is some help on how you can create strong passwords. The first (and simplest) option is the use a strong password generators for free online such as PCtools. This site is really neat because it lets you choose letters, length, symbols, capitalization, and punctuation to help customize your password strength. 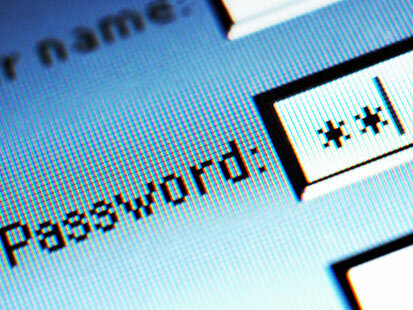 Try to make your password nonsensical or comprehend-able. Don’t use words in a dictionary in any language, letters or numbers close to each other on the keyboard(such as 1234/qwerty), or information that can be found out easily from social network sites. Other ways to make a password you can remember is to choose a word you like or sentence and slowly break it down replacing letters with numbers, and capitalizing randomly. I like cereal. -> Ilikecereal. -> 1Likecereal. -> 1LiK3cereaL. -> 1L!K3cEre4L. If you feel like these methods for creating passwords are nice but there’s trouble in remembering them and you don’t want to write them down, there’s another solution. Third party programs have seen the need for this and have answered the call against the flimsy browsers that choose to remember the passwords for us. There are free programs or even premiums such as lastpass and keepass. These programs usually remember all the passwords you type in, and then lock it all up in a storage that only the user has access to, with one master password. If you have additional tips on how to create more secure passwords, please share them in the comments below.